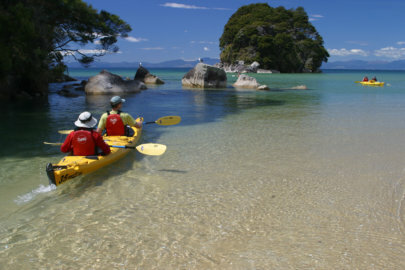 This active, fully guided, private two day trip offers you an easy cycling journey along Nelson’s newest attraction – The Great Taste Trail, staying a night in a luxury or premium accommodation in Motueka area, then into the Abel Tasman National Park on the second day to sea kayak in the park (and walk if you wish), staying the night at Peppers Awaroa Lodge. 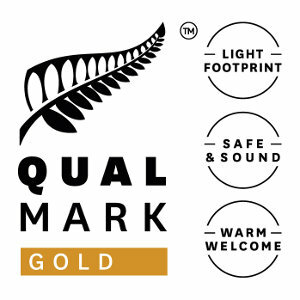 We’ll provide delightful and comfortable accommodation depending on your budget near Mapua or back in Nelson City if you wish. 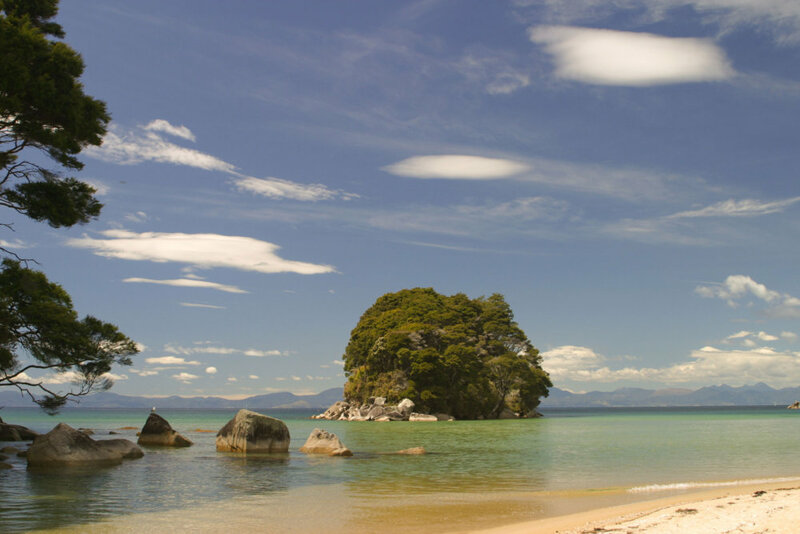 After we collect you from your accommodation, we’ll drive to Marahau near the beginning of Abel Tasman National Park to board a water taxi into Anchorage in the park (Your bags will be taken on to Awaroa Lodge by the water taxi). From Anchorage you will explore the famous Abel Tasman coastline in sea kayaks, one of the best sea kayak destinations in the world. 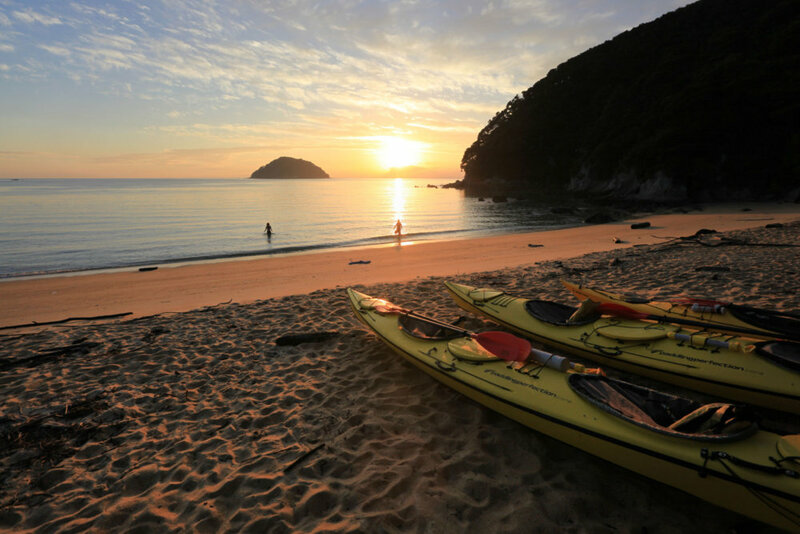 You’ll enjoy paddling along the rocky coastline, with it’s golden beaches, tranquil inlets and native bush, before making your way to Awaroa Eco Lodge at Awaroa in the National Park where you will spend the night. 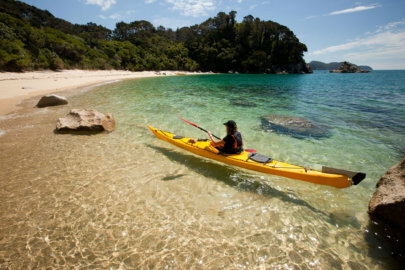 You will be paddling for 2 – 3 hours, with time to stop and swim or just enjoy the stunning beaches and bays, with a 1 hour scenic hike to Awaroa on the Abel Tasman track later in the day. 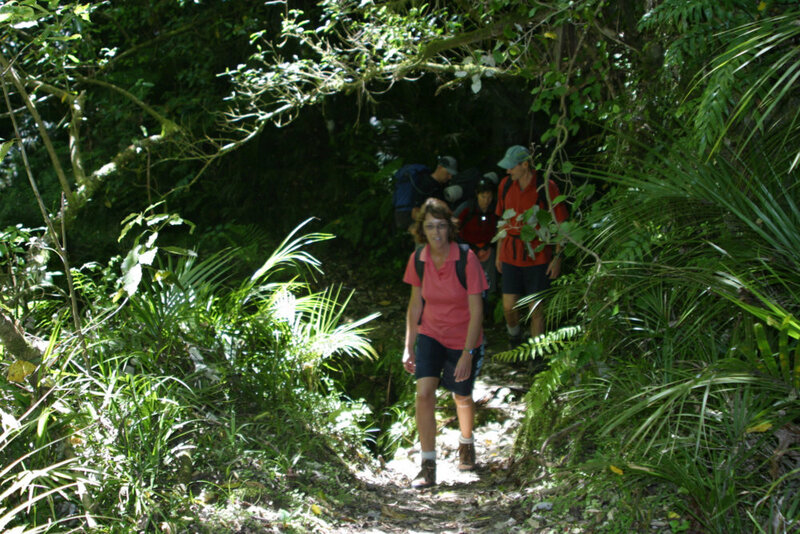 At Awaroa you will stay at the Awaroa Ecolodge. Awaroa is only accessible by foot, boat or helicopter. 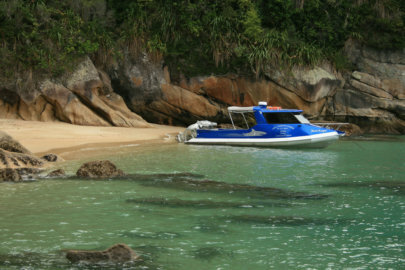 We’ll return you to Nelson by water taxi and our vehicle this morning. 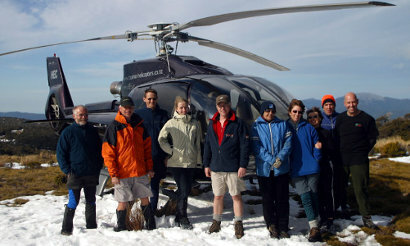 Return by fixed wing plane or helicopter (including scenic variations) are options at extra cost.